I received Sharpie Markers free of charge to help me create some spring fun. 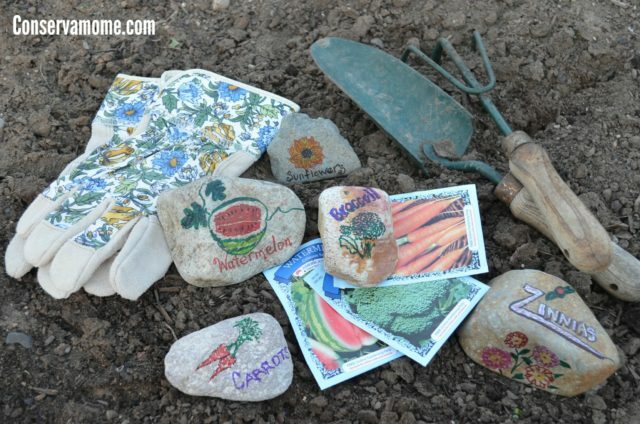 This DIY Garden Row Markers project is a fun way to add a little color to your garden and keep all of your veggies and fruit organized for the upcoming planting season. Spring time makes my heart pitter patter. As soon as the snow is melted I run outside and spin around singing in a very Julie Andrews sort of way. Then I bounce towards my raised beds to see what kind of chaos is waiting for me to sort out before summer. I am convinced that everyone can appreciate a beautiful garden. That’s why I try really hard to make my gardens (flower or veg) lovely as well as functional. 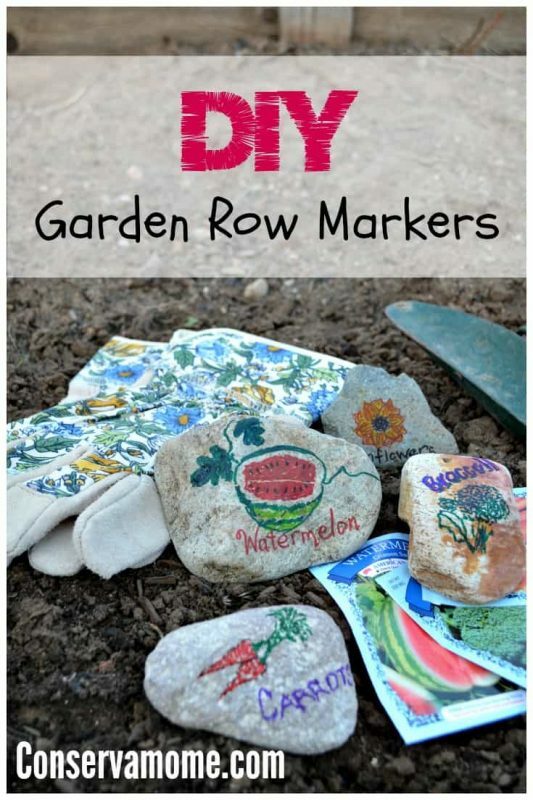 These easy garden row markers will add a sweet touch of creativity to your garden. You need two things for this project. 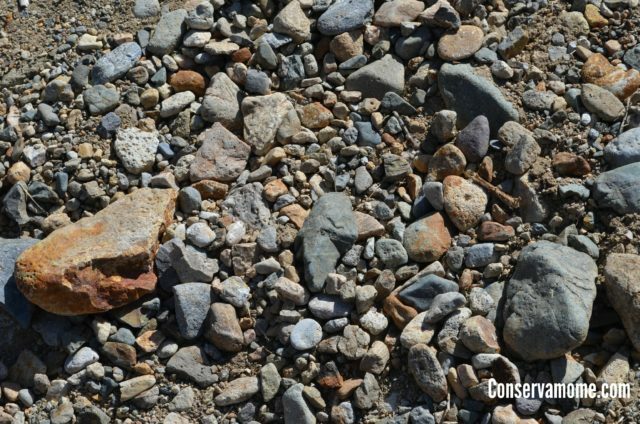 Find rocks. I strolled to the river near my house to find these. 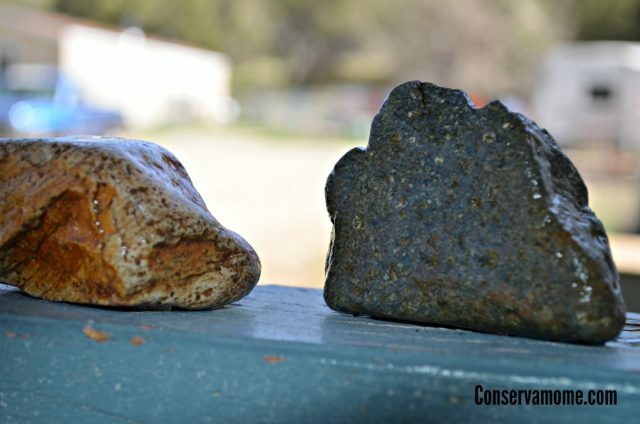 You can also get stones at craft stores. Do what makes ya happy. Wash ‘em. 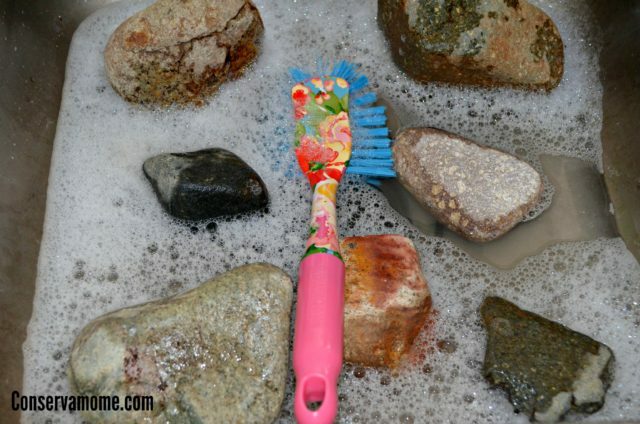 My husband thought I was nuts when he saw me washing rocks in the kitchen sink. Washing them helps the design you’re about to put on them look clearer and stay longer. Let ‘em dry. I know I didn’t have to tell you this. Sorry. 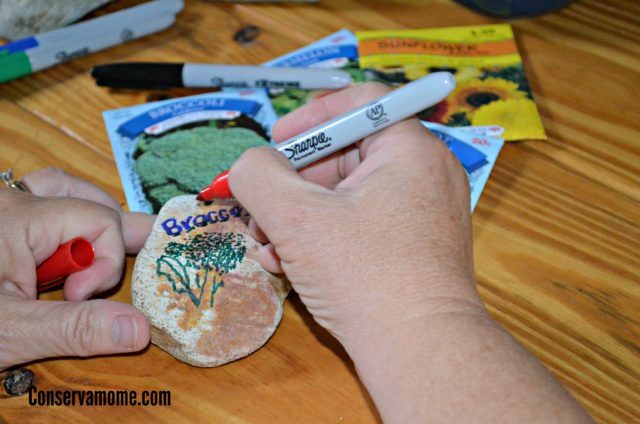 Get some Sharpie Markers and draw cute words and pictures that will remind you what you planted where. I used Sharpie fine tip, metallic, and extreme fade resistant markers to make mine. My mom was visiting and this was a great craft to do together. Decorate your garden. You’re great at this! 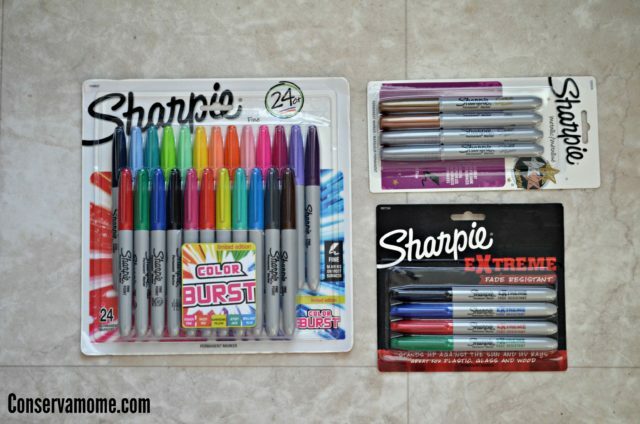 Sharpie helps you create some great crafts that will last for years to come. Make sure and check out their complete line of products. These would be cute to mark the herbs! It would be fun for an elementary aged or older child to help create also! Such a cute and fun idea! Love it! I am an avid gardener and use the old seed packets as markers. I never thought of doing your great idea. It looks so nice. 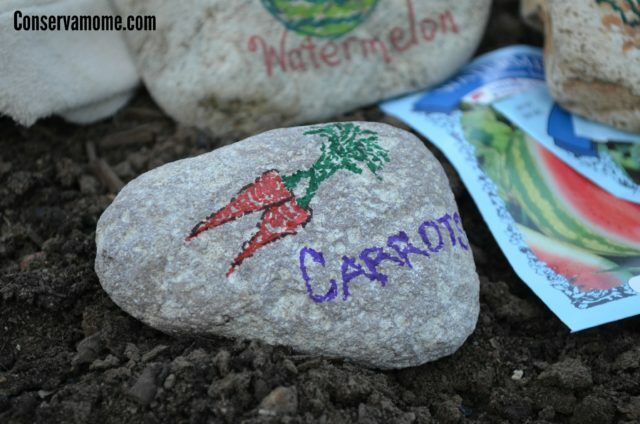 I hope I am talented enough to draw veggies on the rocks…ugh. I love this idea and tried it last year for my gardens. I only used black Sharpies and just wrote the plant names on the rocks (I’m not much of an artist). Sadly before the gardening season was over the ink had faded away from being in the sun. I would recommend adding an outdoor clear coat over top of your finished art work to preserve it longer! Great post. My son would have a lot of fun making these with me! What an awesome idea! I really like that it’s done with sharpies. I think I could draw a little better with a marker than painting with a brush. I love to do this. But only if I had a garden. I’m saving it on my Pinterest for my future new home with a garden.